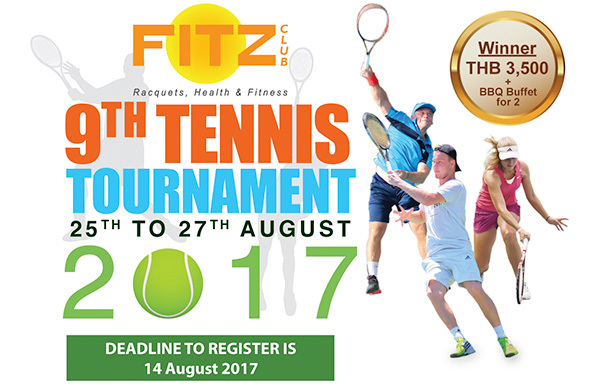 We would like to invite you to our 9th Fitz Club Tennis Tournament on 25 - 27 August 2017. There will be 2 categories for this tournament: 35+ Men Singles and Ladies Singles Open. All our previous events have been a resounding success! 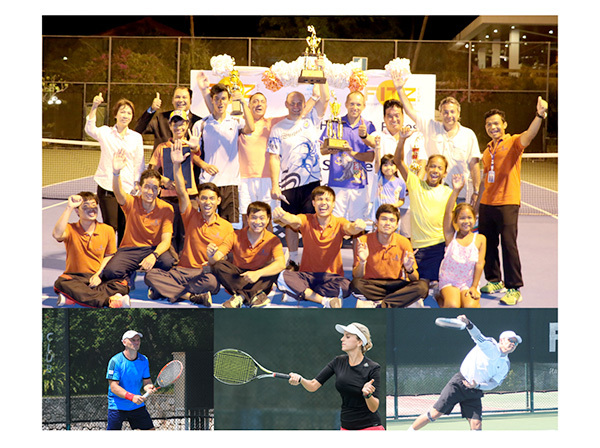 Our aim is to build the Tennis community in Pattaya and give people the opportunity to make new friends. Players of all levels are welcome from beginner/intermediate to advance level. If you have never played in a tournament before, please do not feel intimidated. Give it a try. What makes our tournament so popular is that it is round robin style so you are guaranteed to play at least 3-4 other players in your group. The winner and runner-up of each group advances to the next stage. 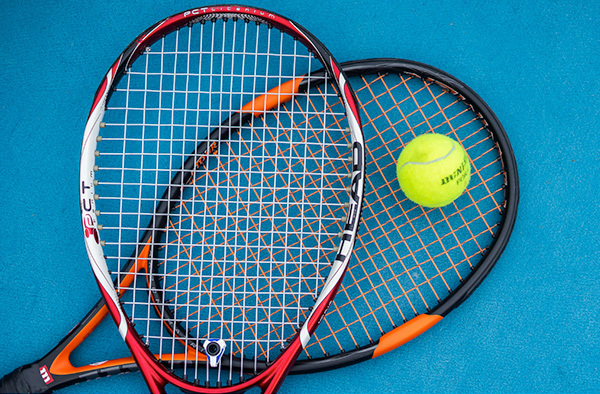 Whether you come to play or watch as a spectator, we would love to welcome you to the club. If you do play, please bring your supporters along with you. We will be serving food, drinks and ice cream throughout the tournament. There are 2 categories for this tournament. Payable to Royal Cliff Beach Hotel Co., Ltd. Registration closes on 14 August 2017. Please hurry as we limit the number of players. We look forward to welcoming you to our exciting tournament!